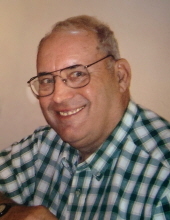 Michael Don Henry, 76, of Palestine IL, died at 5:41 a.m. on Sunday, January 27, 2019 at Heritage Health in Robinson, IL. He was born February 9, 1942 in Oblong, IL, the son of Donald B. Henry & Lilian Beatrice (Smothers) Henry, both of whom preceded him in death. He is also preceded in death by his son, Bret Michael Henry. He married Colleen Marie Billings on August 21, 1967, and she survives. He is also survived by his daughter & son-in-law, Julie & Travis Hancock (Sullivan, IN); by his grandchildren, Christopher Correll (Sullivan, IN), Tristen Hancock (Sullivan, IN),Tanner Hancock (Sullivan, IN), Seth Hancock (Omaha, NE), and Makadan Henry (Oblong, IL); by his brother & sister-in-law, Pat & Jane Henry (Pittsburg, IL); by his brothers-in-law, David Billings (Bonfield, IL), Donald Billings (Springfield, IL), and Richard & Lola Billings (St. Anne, IL); by his sister-in-law, Sharon Nava (Jasper, TX); as well as several cousins, nieces, nephews, and great nieces and nephews. A 1960 graduate of Oblong High School, he would go on to earn his bachelor’s degree in education at Southern Illinois University in 1964. Out of school, he went to work as a teacher and coach in Willow Hill, where he taught for 3 years before getting a job with Palestine Elementary School. Over the course of his 34 years as an educator, he touched the lives of countless area students. Sports played an important role in his life, and he shared this passion with his students as well. Through the years, he coached junior high track, basketball, and softball and high school football, boys’ and girls’ basketball, and baseball. His passion for young people didn’t stop there. For a time, Mike ran detasseling crews of up to 60 kids, giving many local young people their first job, teaching them the value of an honest day’s work in the process. Mike was quite an outdoorsman, and enjoyed hunting, running beagles, and was especially fond of fishing. Few things brought him more joy than teaching his grandkids to fish or attending their various sporting events. He enjoyed running the fishing rodeo for the kids in his church, the Evangelical United Methodist Church, Oblong. He was also a former member of the First United Methodist Church in Palestine and was a Sunday school class teacher and committee member at both churches. He was also a former member of the Lion’s Club. His many friends at the Village Inn will remember Mike as a man who loved to make people laugh. His life touched countless others, from his beloved family to the multiple generations he taught and coached in school. His is a life that could not be forgotten. A time of visitation will be held from 3:00-6:00 p.m. on Thursday, January 31st at the Goodwine Funeral Home in Palestine. Services will immediately follow and will be held at 6:00 p.m. on Thursday at the funeral home with Jeff Van Dyke officiating the service. Cremation will follow the service and burial will follow at a later date. Memorials may be made to the National Kidney Foundation, HSHS Home Care, or Palestine Food Pantry, with envelopes available at the funeral home. To send flowers or a remembrance gift to the family of Michael Don Henry, please visit our Tribute Store. "Email Address" would like to share the life celebration of Michael Don Henry. Click on the "link" to go to share a favorite memory or leave a condolence message for the family.